The once ubiquitous DF4s are now almost as rare as the steam locomotives they replaced in the 1980s and 1990s. 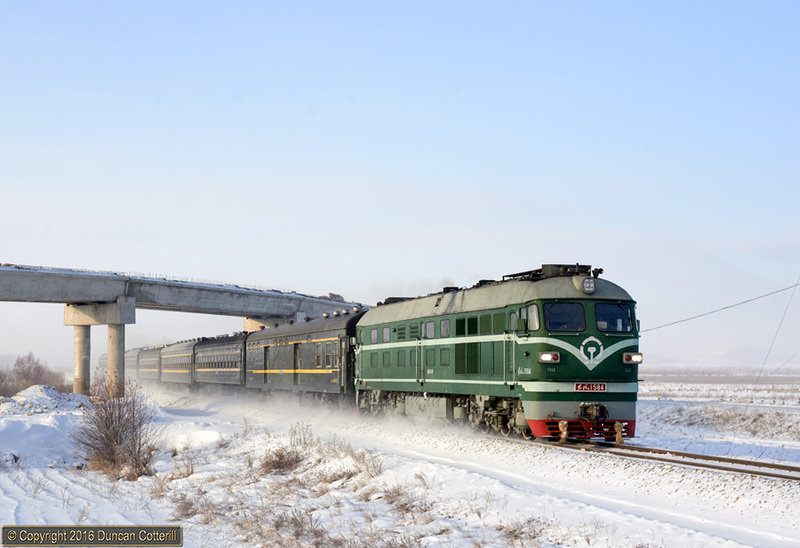 A number remain in CNR service in the Haila’er area but are unlikely to survive once electric working starts on the main line from Qiqiha’er to Manzhouli, displacing large numbers of modern diesels. DF4 1584 approached Meitian with train 4181/4184, the 06:12 passenger from Haila’er to Mangui, on 20 November 2016. Note the makeshift snow brushes and LED headlight.